COSI was preceded by The Nuclear Compton Telescope (NCT). COSI features an all-new cryostat with an electrically powered cryo-cooler, flight computer, and other custom electronics, but uses the same detectors and readout electronics as NCT. Total measured background during NCT’05 flight (black line). 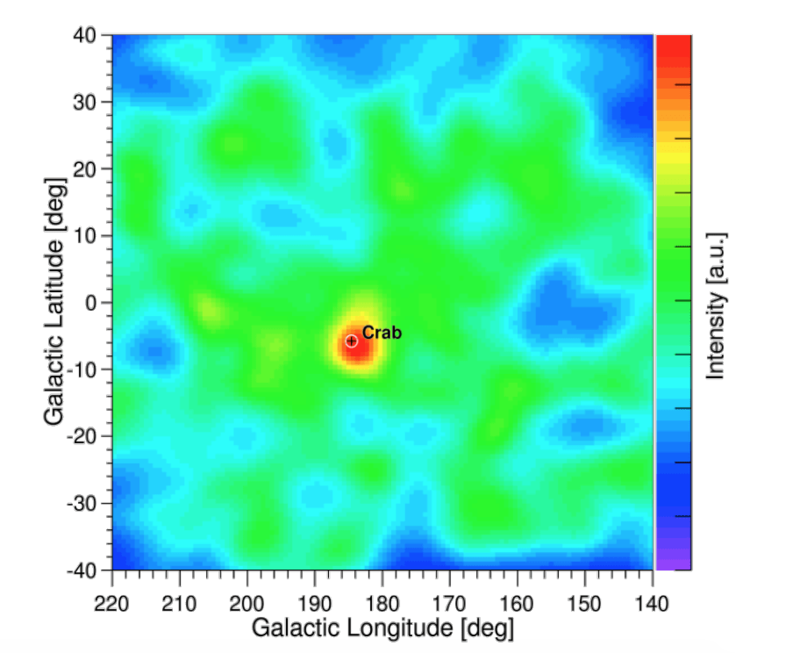 The individual background components were simulated and all combined to compare with the measured data (cyan line). An NCT prototype with only two GeDs was launched from Fort Sumner, New Mexico in 2005. 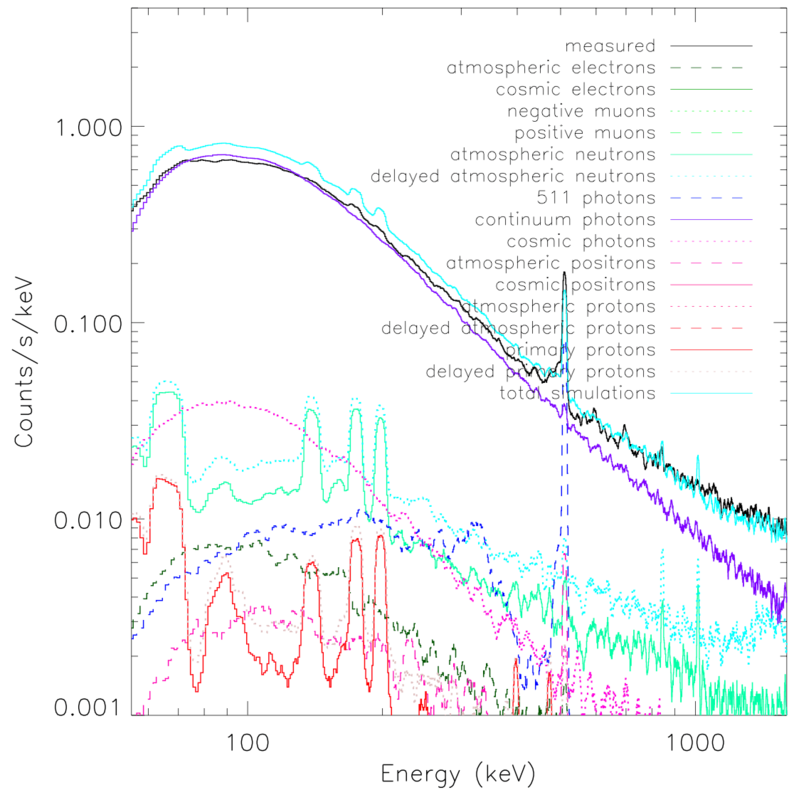 The main goal of the 2005 flight was to confirm the operations of the instrument during flight by measuring the gamma-ray background at float altitudes. NCT was launched on June 1st and had approximately 9 hours at float. The Crab Nebula with a ~6 sigma detection from the NCT’09 Flight. A 10 GeD version of NCT was launched from Fort Sumner, New Mexico in 2009. 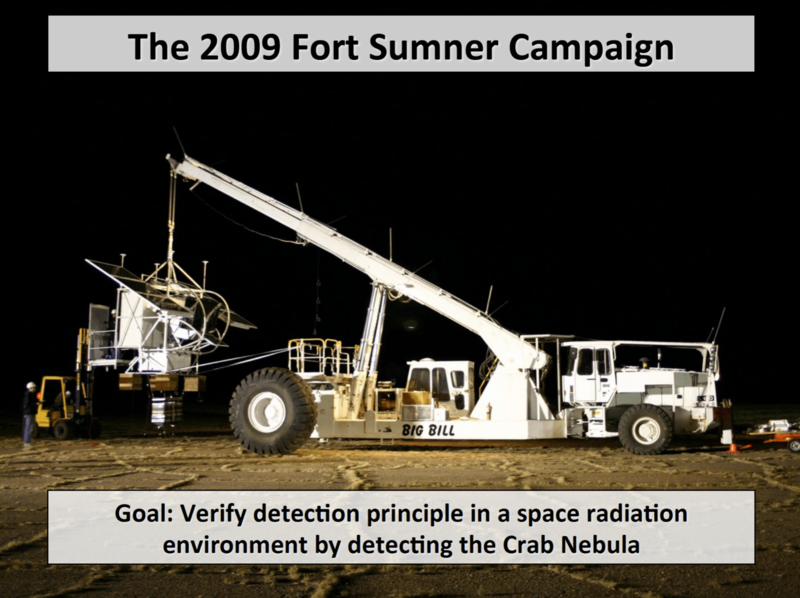 The main goal of the 2009 flight was verify the imaging capabilities of NCT at float by detecting the Crab Nebula. NCT was launch on May 17th and had approximately 22 hours at float. The third campaign for NCT, which had the same 10 GeD instrument as the 2009 flight, unfortunately suffered a launch mishap in Alice Springs, Australia. Although the gondola suffered sever damage, the GeDs and much of the readout electronics were unharmed. The collaboration took this opportunity to redesign the gondola and optimize NCT for ultra-long duration balloon flights – see COSI’14 campaign.